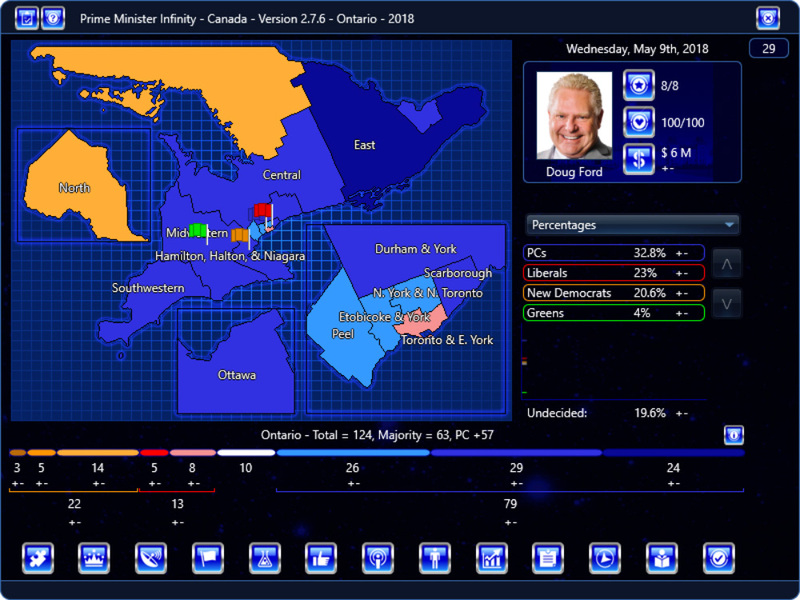 Prime Minister Infinity – Canada – v. 2.7.8 for Windows and Mac has been released! If you are a Prime Minister Infinity – Canada owner, you are eligible for this upgrade. Looking good, would it also be possible to select whether a ‘Hung Parliament’ is defined as ‘No overall control’ which is a term used in UK local elections. Good point – I’ve noted it. Can we have some different start dates, to reflect the changes in polling we’ve seen over the campaign? That big shift in polling started around May 7th until around May 25th, when it leveled off. I’ll look at adding another day with shifted %s. Thanks for this.